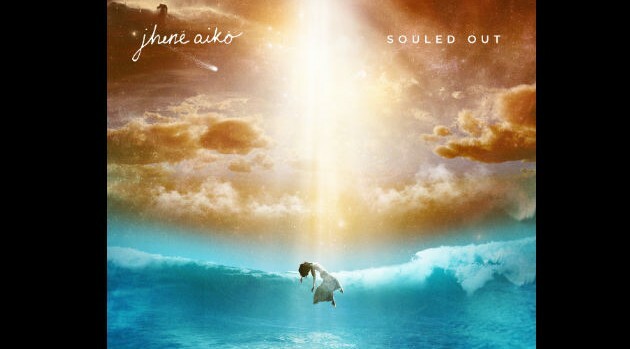 Image Courtesy Artium Records/Def JamJhené Aiko has revealed the official artwork her debut album, Souled Out. In the cover image, which was posted to Instagram, she is seen floating up from the ocean into the clouds. The singer has also announced that the project is scheduled to arrive on September 9 via Artium Records/Def Jam. The disc will include her singles “The Pressure” and “To Love & Die” featuring Cocaine 80s, as well as production from No I.D., Key Wane, Fisticuffs, James Fauntleroy and Dot Da Genius. The album’s launch will coincide with her supporting slot on The Weeknd‘s King of the Fall tour, scheduled to begin September 19 at Brooklyn’s Barclays Center.